Major Galore, multi-talented and beautiful personality is recognized globally as the first lady of Gwinin Entertainment. She is also known as a rapper, VH1reality Television personality, and R & B singer. Major Galore, an American, was born on May 6, 1986. She has a brother, Darren and a sister, Ashley. Her zodiac sign is Taurus. Her ethnicity is black and belongs to American nationality. She loves music since her childhood days. Major Galore started her career as a guest star in Love and Hip- Hop(L&HH) season 7, which was upgraded to support cast member just episode later into the season. She later entered in the musical industry, debuted a single called "Love come down" in August of 2016. She possesses Sound Cloud Page where she had published various previous songs effort. She has also organized youtube channel for tutorials and music. She has more than 25k viewers on her youtube channel. Adding more, she has worked at Angel's Gentleman's Club in Queens. 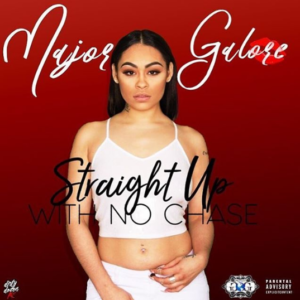 Recently in February 2017, she released single Straight Up with No Chase. She has maximum viewers on youtube channel. Major is the first lady to sign DJ Self's Gwinin Entertainment, a record label with a huge sense of Entrepreneurship and an extensive background in the music business. She is notable for associating with Gwinin Entertainment, which also dragged her into controversy due to cat fights with Mariah Lynn, American songwriter, rapper and reality television personality. At the 7th season reunion, it is revealed she also has beef with Cardi, which stems from their stripping days together. The popular musical artist, Major Galore had conflicts with Mariah Lynn before signing with Gwinin Entertainment. Galore was very much excited to be part of DJ Self's new record label whereas Mariah was not much interested in Gwinin Entertainment earlier. DJ Self visited Mary Galore during the photoshoot of Love and Hip Hop season 7, episode 9. Initially, DJ Self approach Mariah to sign with Gwinin Entertainment but she refused. 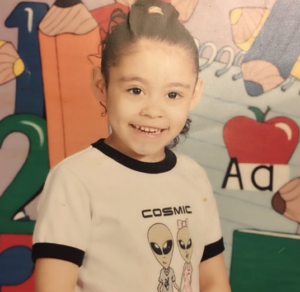 Mariah later changed her decision and shows interest on DJ Self 's offer. Then after, she said that she signed DJ Self's Contract. The real cat fight start when Mariah told DJ Self not to play Major Galore's music. She always tried to insult Major in a different way. Nevertheless, Major Galore became the first lady artist to sign DJ Self's Gwinin Entertainment.She is all set to take the audio platform to the top with her brilliant musical skills. Major Galore is not married till now. She is possibly single and there are no any rumors about her relationship with any guy till now. She is busy with her works and still having great fun without a boyfriend. She loves tattoos and usually posts pictures on Instagram related to make-up and her current works. Having a successful profession, Major Galore has a current net worth of $200,000.